"Professional, Helpful, Friendly And Very Efficient Worker. Fair And Reasonably Priced. Best Experience Of A Tradesman"
"Diagnosed And Rectified The Problem Quickly And Professionally"
"He Was Polite, Quick, And Really Efficient. I Would Strongly Recommend Him To Anyone !" 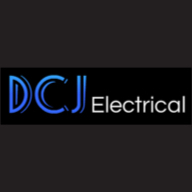 Need a Electrician in Bexley?